In a pile of so many Happy New Year messages I hope this one meets your eye. And in case if you are about to move on in a few seconds than let me immediately say a BIG THANK YOU to you. The complete Team at ProjectHeena strives to work hard to make a difference and add value to the world. We strongly believe that great things happen when you do good to others. Having said that it would have been difficult to achieve whatever we have without your support. I am a person who keeps expecting more, more and more. So before you will read these numbers, my expectations are already raised. But at the same time I know how ‘short of time’ we all are and when I see people volunteering for more than 3000+ hours that deserves a #Salute No doubt a bulk of this happened with the help and support from Bhumi whose volunteers were not just accredited but certified on the platform. We are packing some real punch for the new year. Operationally more and more NGOs are joining us, Thanks to our Community Manager Kanupriya. We are also launching ProjectHeena SOCH which will help us connect with the Student Community to drive things ahead. On the tech front Jigar and Nikhil have been great pillars. We have made small tweaks on the website, the last time you checked out. You can login with Facebook and LinkedIn, map exact location so that volunteering notifications are more precise, a profile completion indicator, an Achievements tab to highlight your Karma and a private dashboard for social campaigns that we plan to do. Next we are planning to get some exciting features rolled too. We always wanted to start the Donations module but as you know, it will be something which redefines how people donate online. I keep this secret to next year! We are also rolling premium corporate features and would love to know what you feel about Corporate Social Responsibility! I hope you are following us on Facebook and Twitter and at times do read the awesome articles on our blog that Kanu and I break our heads on. There are several stories that as a Social Entrepreneur I have to share but I guess we will keep this message crisp for today. We took the leap of faith and started ProjectHeena because we thought there would be many who would join us to do good. We have made a small community and would love to scale it from here. Have great fun this new years eve and out of many resolutions that you have, do consider Giving Back a part of you too in the list. 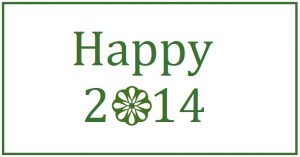 Here’s to a great 2014! Cheers!